I am fascinated to hear what drove her to write it. I found it was all of these things but it was also thought- provoking and fearless. "When Pierre Anthon left school that day he realised that nothing was worth doing because nothing meant anything anyway. The rest of us stayed on." The children in Nothing are a class of 14yr olds. 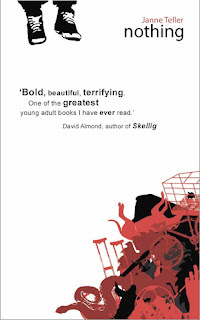 When one of their classmates leaves school telling them that nothing matters and life isn't worth the bother, they go to horrific lengths to persuade him, and themselves, that he is wrong. As he sits in a plum tree their efforts to create a 'heap of meaning', drive them to dreadful lengths. I started reading Nothing and found myself beginning to wonder what does make life matter, and perhaps that is exactly what it is about. But as I read on I found myself more and more cautious when it came to turning the page, almost afraid to discover just how far these children would go in their quest to persuade Pierre Anthon that he was wrong. 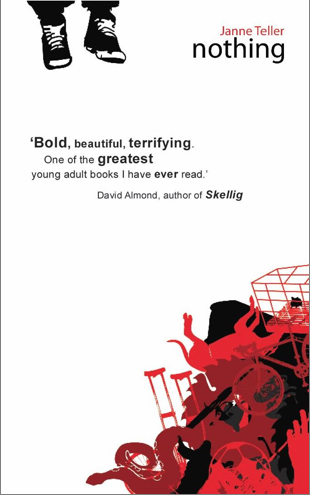 Nothing is the winner of:Le Prix Libbylit 2008, and the Best Children’s Book Prize awarded by the Danish Cultural Ministry. "Janne Teller has written a novel about nothing less than the meaning of life. This book makes a deep impression on the reader and incites continued reflection." Nothing is one of those books that will challenge you, but I would suggest that it is not for the gentle-hearted and not for younger readers. 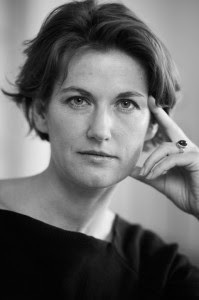 If you can, why not come along and listen to Janne Teller at the Edinburgh International Book Festival and hear for yourself what she has to say about it. Nothing is always going to be a controversial book - so do you agree with the comments and quotes above? It is, as always, up to you the reader to decide. Originally published in Danish in 2000. 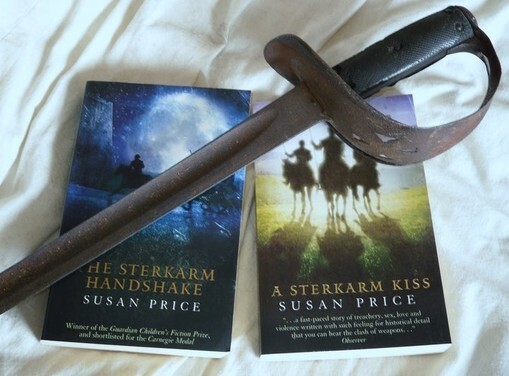 Continuing our look at Crime in Different Genre - SUSAN PRICE discusses her Sterkarm books. If crime is your bag, then the Sterkarms supply it wholesale. Their whole life is one of constant petty war-fare: they raid their neighbours and rob them, fight with them, kill them – and are raided and robbed in return. They rob and murder for profit, for revenge, for honour.“Who dares meddle with me?” their anthem proclaims, and that is partly the point – to build so fearsome a reputation that no one will dare meddle with them. As a visitor, if they have no quarrel with you, you will find them the most generous and attentive hosts possible, making every effort to ensure your comfort, and giving you the best of everything they have, even if the best, by way of food, is haggis and beer as thick as porridge. Even if they do have a quarrel with you, you’ll be safe while within their walls. But once you leave… Then you’ll hear the hoof-beats coming up fast behind you. Still, no matter how friendly you are with Sterkarms, don’t waste energy trying to make any kind of agreement with them. Since you’re a guest, they’ll smile, refill your cup with thick beer, pile your plate with haggis and say whatever they think you want to hear. It doesn’t mean a thing. You’re not a Sterkarm, so you don’t count. No promise made to you has to be kept, no deal shook on has to be honoured. Of course, you’ll hear a different tale from the Sterkarms. If they occasionally rob others, they say, it’s reparation for the many times they’ve been robbed. If, occasionally, they murder, it’s purely in self-defence, or honourable revenge. If they seem warlike and aggressive, then it’s only because it would be fatal to be thought weak - their neighbours would take their land, their cattle and everything they had. As for keeping promises: a promise is sacred to them – if made to another Sterkarm. They have a point. Sterkarms – who you can meet in my books ‘The Sterkarm Handshake’ and ‘A Sterkarm Kiss’ – live in the first part of the 16th Century, in the ‘Debatable Land’ between Scotland and England. It was a no-man’s land and a war-zone. Since both England and Scotland claimed it, and refused to come to terms, it was a high-road for armies, while neither country could – or had any real wish to – impose law there. The Sterkarms livelihood was cattle-rearing, but the depredations of their neighbours and passing armies soon made that impossible without fortified towers and armed men ready to fight off raiders. And if the armed men are to hand, and you’re feeding them – well, why not lead them on a raid, and rob others, as you’ve been robbed? The change from cattle-rearing to cattle-rieving was inevitable. It’s an age-old problem with crime: people are driven to it by necessity, but then it becomes an ingrained way of life, in which children are reared and trained. OK, so a series called ‘Sweet Hearts’ might not sound as though it has much to do with crime! 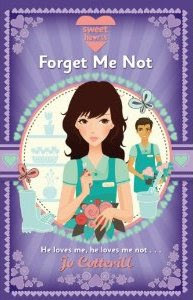 However, in Book 3: Forget Me Not the heroine (Kate) works at a garden centre over the summer (where she meets and falls for a Mysterious Boy…) and one night there’s an attack on the centre and most of the plant stock is destroyed. I was inspired, I confess, by a scene in a Midsomer Murders episode, where someone’s prize orchid collection is destroyed by a rival orchid-grower (or was it his resentful wife? I can’t remember). How very visual! How awful, to have rows and rows of brown, shrivelled plants where only the day before they had been green and healthy. But how could it be done? At first I thought of acid. But how does one actually get hold of acid, I wondered? Not as easily as you might think (which is just as well). So what else could you spray onto plants that would kill them? Something householdy – bleach? But that seemed a bit dull, and besides, you’d need tons of the stuff to kill shelves and shelves of plants. Caustic soda, suggested my dad. It’s easily available and eats through just about anything (eek, scary thought). So that’s what my villain uses – an ordinary household item that’s usually used for unblocking drains – as a weapon of mass plant destruction. Kate, my heroine, comes into work to find a wasteland of dead and dying plants, including her very own flower display. All very upsetting, and also providing the perfect plot device for discovery of Evidence later on! Jo also blogs at girlsheartbooks.com along with thirty other writers of girly fiction. stories in a specific place or town? I’ve lived in London all my life. When I set a story in an urban environment I use London, in particular East London. I know the streets and the feel of living somewhere urban. It’s full of noise and smells and movement. There are great contrasts in London. There are rows and rows of terraced houses and narrow streets alongside huge skyscrapers and big public buildings. I have used the area around Canary Wharf in a couple of my books. In Heart Burn I use the river at night. A dark ominous strip of water that seems to twist and turn through the heart of London. What was your inspiration for this story. Was it a real life event? No, in fact it was something quite different. I used to teach creative writing and have done many workshops for young people. One of the assignments I give them to do is to imagine they were standing on the street waiting for someone. That person is late and they are getting concerned. While they’re waiting something happens. When I was working on a new book I decided to use that format. Ashley is waiting for her best friend to come along. She is late. While waiting a boy she knows comes along. He tells her that Tyler Harrington, a boyshe was in a relationship with a year before, has been badly beaten and is in hospital. This triggers her memory of what was a painful affair. Inevitably she becomes involved in Tyler’s story. planned it all out before you started writing it? I never know how my stories will end. I have a plan for the first six chapters or so and then I hope the story will grow. The characters and the plot develop and any twists or secrets grow out of this. Of course this approach means an awful lot of rewriting. But that’s OK. The relationship between Ashe and Tyler is an interesting one. Was that something that you decided on at the beginning or did it develop as you wrote about them? Your books are often quite dark, and often don't have happy endings. Do you prefer to write books that end happily for the characters? I just try to imagine what would happen in real life. Unfortunately there aren’t always happy endings. I try also to leave the ending a bit ‘open’ to let the reader think about what might happen. I made an exception to this rule with Heart Burn. Can you tell us anything about your latest project? I am currently finishing the second book of a four book series called THE MURDER NOTEBOOKS. It’s called KILLING RACHEL and I’m getting that euphoric feeling that it’s almost done! 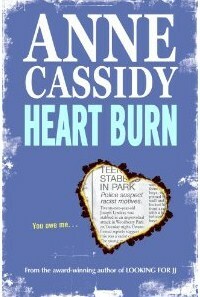 These books start coming out in May 2012. Young people engage most with young people. That’s a problem when writing crime stories for them. 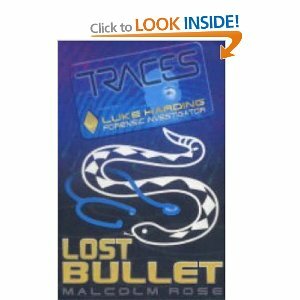 It suggests authors need to come up with young yet credible sleuths. Having the characters’ parents around is a bit of a pain as well. 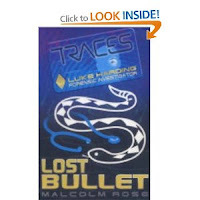 In my quirky crime series, TRACES, set in a parallel version of the UK, families are organized differently. Parents hand over their five-year-olds to the school authorities for upbringing. And schools work differently – they are much more focused on career from an early age. The brightest students graduate into their careers at the age of sixteen. That’s how I can have a believable 16-year-old detective who has lost all contact with his biological family. Two birds, one stone. I take a different approach in my JORDAN STRYKER series. In the first chapter, I simply blow up the hero’s family in a massive but realistic explosion in the Thames Estuary. Jordan is the only one to survive and he does so only with serious injuries. He needs modern robotic and medical technology to keep him alive. 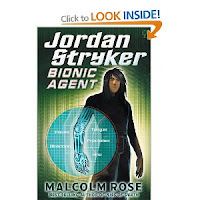 It’s an underground organization that funds his repair and body enhancements, turning him into a fourteen-year-old bionic agent. With the amazing resources at his disposal, it doesn’t really matter how old he is. There’s no lower age limit when the crime-fighting organization is secret. But I’ve had enough of careful justification. If/When I write another crime series set in an alternative Britain (and, yes, it’s in the pipeline), I’m going to refuse to explain why my two main detectives are sixteen years old. I will trust the reader to accept that’s just the way it is. Literature Festival with a difference! This weekend 9th and 10th July a very special event is taking place. The Awfully Big Blog Adventure blog is celebrating its 3rd Birthday and holding the very first ever ONLINE LITERARY FESTIVAL, run entirely by children’s authors, and we want YOU to get involved in supporting us! 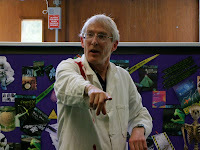 On 9th and 10th July 2011 40 (yes FORTY) children’s authors from the Scattered Authors’ Society, will be bringing you something new and special every half hour from 9.30am to 7.30pm. Join all the fabulous guests & contributors at the exciting ABBA Online Litfest! 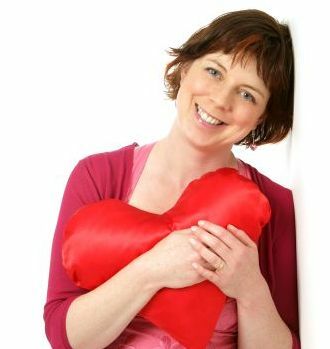 Crime Central's very own criminal masterminds Anne Cassidy, Gillian Philip, Keren David and Linda Strachan are all taking part, as are some of our favourite contributors. 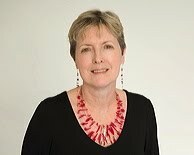 Look out for Anne Cassidy's blog Post: To Blog or Not To Blog? at 9.30am on SATURDAY morning. And there are so many more fabulous authors taking part - There's something different every half hour on each day! See the Full Programme here. Naturally, there will be virtual champagne and cake on the day, so come and join in on this fantastically fabulous literary party! When I was growing up, if you liked reading, you went straight on from Enid Blyton to Agatha Christie without drawing breath. Nowadays,with dozens of detectives (including Poirot) vying for our attention in print and on the television screen, it’s hard to imagine a world where this wasn’t the case. Agatha Christie writes simply, briefly and her mysteries are most cunningly put together. She’s the perfect writer for young people and millions of teenagers of my generation (I’m 67) devoured her complete works with enormous pleasure. I haven’t read Christie recently but I retain a strong memory of what her books gave me….the plots have long ago disappeared, though I do recall the more startling ones, such as Murder on the Orient Express. The one I’ve chosen to highlight here is a book called The Murder of Roger Ackroyd. It has a very startling plot twist, which I won’t give away, but apart from that, it’s a good one to begin with because it has all her main characteristics as a writer, so that if you like this one, you’ll love the others too. Christie’s plots are like clockwork. That’s to say: they work. If you read her novels twice, you can see how every single thing she mentions is relevant to the unravelling of the puzzle. She is a genius and one who’s often dismissed by the literary establishment, but you can’t quarrel with sales like Dame Agatha’s. There are good reasons why only the Bible outsells her books. Read her! It’s a pity about crime novels set in the present day. All this DNA, mobile phones, CCTV, laptops, emails, even fingerprints – it seems criminals nowadays shouldn’t stand a chance. Though of course they do. Crime stories set in the present day are good to read and great to write: I’ve done a few myself. But if you want to write a murder mystery of the old sort, one which is solved with just your eyes, your ears and your commonsense, you’ve got to think differently. And that’s where setting crime stories in the past comes in. You’ve got to work out the solution to the mystery for yourself because there’s nothing to help you. You don’t know where people are because there are no phones, not even landlines, you can’t move faster than walking pace unless you’ve got a horse, a letter will take months, nobody has thought about fingerprints and DNA wasn’t even heard of. That’s why I turned to writing crime stories set way back in the past – and decided to set them in the Middle Ages. The figure of a seventeen year-old French minstrel lost in England stole into my mind and the Joslin de Lay Mysteries were the result. 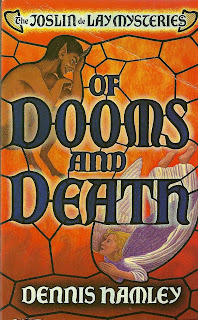 They were published by Scholastic and came out between 1998 and 2001 – six novels set over six hundred years ago in about 1370, telling the story of Joslin’s quest from France to Wales to find his mother after his father was murdered. Being a minstrel, Joslin sings his way through the land because he’s welcome everywhere. He can sing in inns and taverns to ordinary people, he can sing in Oxford colleges, he can sing in castles to Earls. All of society is open to him. He has his own big mystery to solve, which finally comes clear in the last book. But on the way, in every town he comes to – London, Oxford, Coventry, Hereford -murder stalks him. Six separate mysteries, lots of dead bodies – and Joslin solves them all. 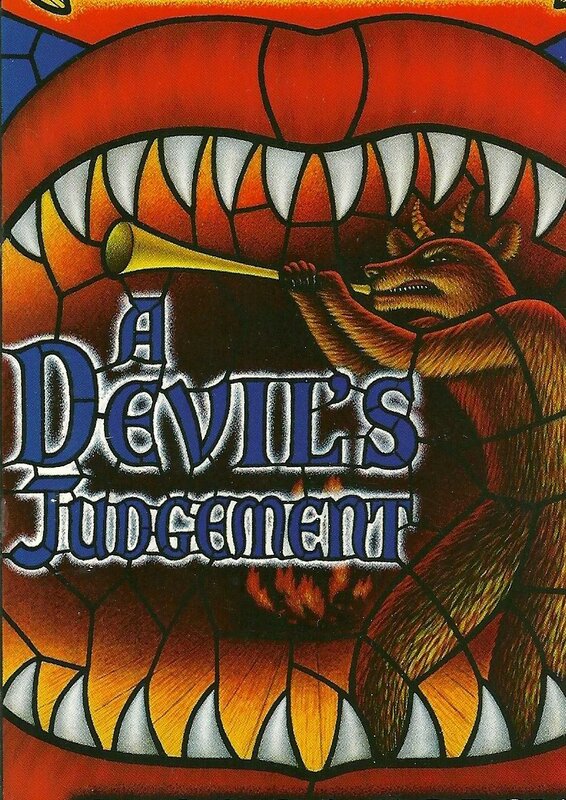 But it’s not just murder which follows him: a forbidding, threatening, evil character is hunting him across the land as well - and he possesses the key to the whole of Joslin’s story. The Middle Ages really are another world. So much research to get everything right, all of it fascinating. Here are some ways in which I tried to make the facts come alive. At the time the novels are set, Europe was just getting over the Black Death. 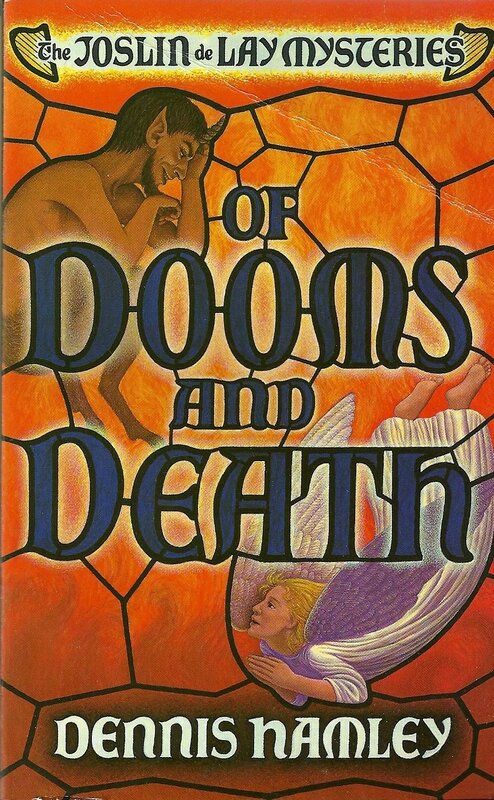 So one of the books concerns the villain using the bubonic plague for his own ends to kill his victims. The Hundred Years War, between England and France was on. It’s very important to the books. It sets off the first and is part of the solution of the last. The Church believed some things couldn’t even be thought of because they were so dangerous. That meant that some books were forbidden: it was mortal sin to read them. 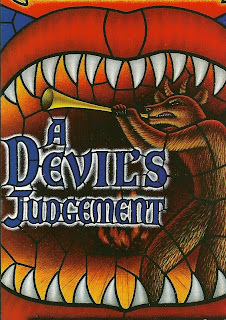 One of Joslin’s mysteries concerns a forbidden book about something the Church thought was about the most dangerous thing of all. But some people read it and murder follows. I loved writing these books. I said I’d do just six, separate novels but with a larger story overarching them. My hero wouldn’t die but I’d make sure there couldn’t be any more books about him. When they came to an end and I finally had to say goodbye to Joslin I felt really quite upset. We’d been through a lot together but I knew he would be happy and well-provided for and I often think of him still singing and living with his wife, the girl he met in the first book and who he finds again in the last..
Joslin de Lay books are out of print at the moment. I hope they’ll soon reappear as ebooks and later on be published again as paper books. Because I think he’s worth it. And so is historical crime. I may write some more, But they may be about an older and wiser Joslin.